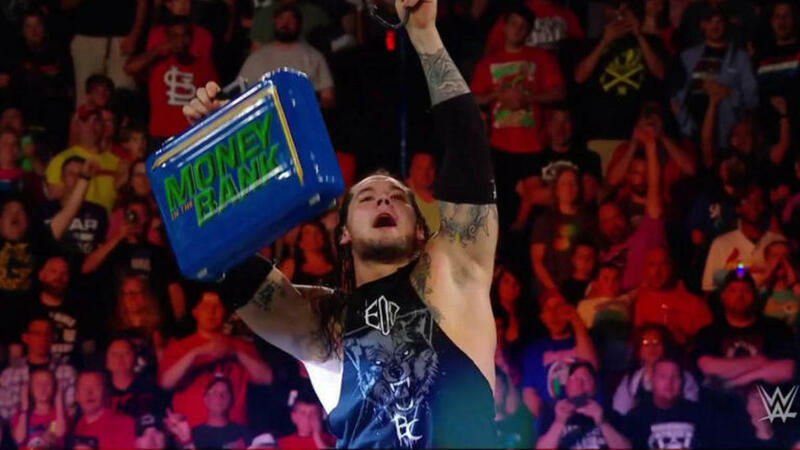 Coming out of Money in the Bank, WWE is now gearing up for SummerSlam on 8/20, but first there is the Raw branded Great Balls of Fire PPV on 7/9 in Dallas, and the Smackdown branded Battleground show on 7/23 in Philadelphia. Roman Reigns, on Raw this week, issued a challenge to the 7/9 winner between Brock Lesnar vs. Samoa Joe. That match was originally scheduled for WrestleMania, where Reigns was to win the title, with Lesnar vs. Braun Strowman scheduled for SummerSlam. At this point, it’s not clear what the direction is. If Reigns is to beat Strowman at the next PPV and then win the title, he’d have a number of challengers around, but with the exception of Joe, he’d have already beaten all of them in big matches, Finn Balor, Seth Rollins, Lesnar, Strowman and Bray Wyatt. Waiting to pull the trigger at WrestleMania would give them more time to set up his challengers. Current subscribers click here to continue reading.